How much language can you learn in one year? New year is a great time to learn a new language, as it not only ticks off a worthy resolution but it gives you valuable skills to take forward. But the big question is – how much language can you really learn in one year? Whether in preparation for an overseas business trip, to secure a deal with foreign partners or to maximise your employment potential, learning a language will put you one step ahead in the global community and bring you instant respect and admiration. By making it your goal to learn or improve a language in 2015, you can track your progress from January to December and see how much you’ve learned over the year. Be honest about the time you can commit each week to your target language and make realistic short-term goals; this is the secret to keeping focused and energised! So how much language can you expect to learn in one year? 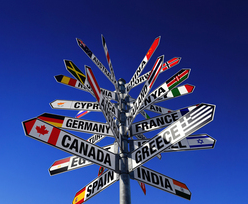 We can offer a general guideline to help you plan your language training. Let’s take the Common European Framework of Reference for Languages (CEFR), which all Cactus courses are designed around, whereby A1 is beginner level and C2 is proficient. If we take the most extreme case of wanting to progress from beginner level (A1) in January to proficient (C2) by December, you will need 375 hours of 1:1 class time* plus 255 hours of self-study. That’s a one-hour class every day of the year – but of course, realistically, you’re more likely to study for a couple of hours at a time, and may put it many more hours on a holiday or business trip. Let’s say you know the basics in a language and want to gain a bit more confidence, but there’s no rush. Transitting from beginner (A1) to elementary (A2) will require 45 hours of 1:1 classes, plus another 30 hours of self-study. If you do two-hours a week you will reach your goal in under six months! Break it down into days, weeks and months and it’s easy to design a course that complements your learning style, suits your lifestyle and reflects your end goals. Whatever your language learning resolutions, your teacher will sit down with you at the beginning of your course to plan the content and make sure that you end the year on a linguistic high. Bon nouvel an…feliz año nuevo…guten Rutsch…happy new year! Cactus Language Training specialises in organising language courses for individuals and groups, having done so since 1999 for clients all over the globe and for diverse needs and budgets. Our expertise in the field of face-to-face tuition is second-to-none. With an extensive network of approved teachers and a strong in-house academic team, we are able to tailor a language course to suit your specific learning needs, anywhere in the world and whenever is convenient to you. http://www.cactusworldwide.com/blog/wp-content/uploads/2014/12/learn-another-language.jpg 151 215 Sarah Watkins http://www.cactusworldwide.com/blog/wp-content/uploads/2013/07/cactus-blog1.jpg Sarah Watkins2014-12-09 13:53:402015-08-14 16:50:32How much language can you learn in one year? Business Travel: there are lots of good reasons why you should try to pick up some of the local language before you go on a business trip. First of all, it will help massively with the practicalities of foreign travel – like getting from A to B, whether you’re asking for directions, for tickets or for maps for public transport. It can also be imperative when it comes to getting receipts – not something that many people think of prior to their arrival, but given that the accounts departments in many companies won’t reimburse the cost of anything that you don’t have a receipt for, it’s very important! Secondly, being able to speak some of the language will go down well with your potential business partners. Being able to order your own food at a business lunch without relying on them will not only impress them in the sense that you’ve been committed enough to learn some of the language, but will also indicate that you are an independent, respectful and intelligent person…all good attributes when it comes to doing business. Some business associates that you meet may be accustomed to western ways, and may be more understanding when it comes to cultural faux-pas, but this cannot be said for all. Often people don’t realise the extent of the cultural differences that can exist between nationalities, or the importance that is placed on certain norms by people from other countries. To highlight some examples, did you know that…. 1. In Japan, the exchanging of business cards involves a degree of ceremony. The card is viewed as a representation of the individual, so should be treated with due respect. Before travelling to Japan, you should make sure that you have plenty of cards, and have one side translated into Japanese. When exchanging, you should offer your card with both hands, and make sure that you hand it over with the Japanese side up. When accepting a card, always use two hands too. 2. In the Middle East, handshakes are the usual way to greet business associates, and they can last a long time! It should always be the right hand that is used. You may also find that your hand is held while you are led somewhere – this is common in the Middle East and doesn’t have the same connotations as in western cultures. 3. In China, physical contact is not something that is widely accepted – especially when doing business. Be sure not to slap, pat or put your arm around any associate’s shoulders. Body language and movement are both areas you should be aware of when doing business in China. You should always be calm and controlled. Body posture should always be formal and attentive – this shows you have self-control and are worthy of respect. 4. In India, when negotiating, you should try to avoid high pressure, or aggressive tactics. Criticisms and disagreements should be expressed with diplomatic language as it is considered very impolite to say “no” in Indian society. Listen carefully to Indians’ responses to your questions – if terms such as “maybe” are used then they might be disagreeing. 5. In Italy, hospitality plays a key role in business culture. Invitations to lunch and dinner should be expected when doing business there. Normally, the most ‘important’ guest will sit at the middle of the table or on the right of the host; the host always pays; it is not considered acceptable to take any phone calls at the table. Cultural training courses are a great way to learn about the cultural etiquette and norms of the country that you’re going to. Programmes can be tailor-made to suit your specific needs, and offer great value for money. To find out more, or enquire about prices please visit the Cactus Language Training website. Cactus Editor Sarah Watkins talks to Loretta Bonanno, Training Coordinator at Olswang, about their corporate language training programme. Cactus has been providing language training for international law firm Olswang since 2011. For staff at Olswang, language training is considered a benefit rather than a necessity, so I was keen to find out how the in-company language classes have been received and whether the business considered them to be a good use of training budget. Loretta first explained to me the history behind language learning at Olswang. 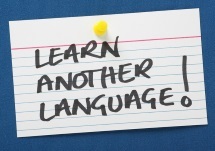 The company has always run ‘language clubs’ – 10-week courses of a minimum 4 students – in order to give staff access to other languages, be it for leisure, travel or personal reasons. During the recession these language courses were stopped but have now been re-instated, with Olswang contributing £50 towards each course and each delegate paying the rest. When classes were re-instated the uptake was very good and courses are now running in French and Spanish, with one 1.5 hour lesson taking place on one evening each week, over a course of 10 weeks. Usually participants are beginners in the language and go into the course expecting to just learn the basics; as Loretta admits, however, having taken a course herself, she learnt quite a lot more and is now keen to take a refresher course. The reality of taking a language course is such that some participants have found it difficult to fit in homework between classes – in fact, some are not even able to attend class due to the nature of their work as lawyers. These are natural considerations for any company offering external courses. Feedback has however been good and Loretta tells me that there is always a positive response when she gives her induction to new course participants. Loretta told me that she would recommend other companies consider offering language training as a staff incentive, as the benefits are wide-ranging. Within Olswang, and from her personal experience attending a course, she has seen the language courses as an ideal opportunity to network within the firm and to meet people you wouldn’t have otherwise, all in a fun environment. Corporate language tuition is also a stepping stone to international development and success, as staff become equipped to effectively communicate with non-English speaking colleagues in global offices. I was interested to know whether, with all her experience in arranging corporate language training, Loretta had any advice for other companies considering offering the same. Loretta wisely pointed out the importance of communication between all parties involved – the supplier, the client and the teachers – to ensure that everything runs smoothly when it comes to issues such as missed lessons and feedback forms. The implementation of the courses had been as smooth as hoped with Cactus and, when I asked about Olswang’s future plans, it was great to hear that they were keen to continue and that it was even on the cards to extend their language training programme to other areas. Our chat rounded off nicely with Loretta telling me that it had been a really good experience, and lots of fun too, so we’re certainly looking forward to fulfilling their language learning needs moving forwards. Many thanks to Loretta for taking the time to talk to us. Read further corporate case studies on the Cactus corporate website. Cactus Editor Sarah Watkins talks to Sandy Yunta Mesnier, Recruitment Development Coordinator at Lloyds Bank International Spain, about their corporate language training programme. Cactus has been providing in-company language training for Lloyds Spain since November 2011. As an English bank located in Spain, tuition has been required in both English and Spanish in 11 locations across Spain, from the bank’s headquarters in Madrid to branches in Marbella, Puerto Banús, Fuengirola, Alicante, Mallorca, Murcia, Pamplona, Valencia and Barcelona. We are now on our fourth set of courses with Lloyds Spain and as such they were the perfect company to tell us how corporate language training has worked for them. Sandy starts by explaining to me that language learning has been both a staff benefit and an indispensable requirement for their business. With English customers and English roots, communication between departments and development of the different sectors of the global Lloyds group is dependent on employees being able to speak English. The closed group language lessons have been effective in helping the business grow and succeed. The minimum language level required for all employees is C1 (advanced level according to the Common European Framework), whilst those in direct contact with clients need to reach C2 (mastery or proficiency). Staff have achieved a solid grammatical base and good written skills, but most importance is placed on reaching fluency in the spoken language and gaining confidence to speak in any situation. As for what employees think, the feedback has been very positive. Students feel very close to their allocated teachers and motivated by their passion with teaching. Each time they re-initiate a round of training, there are many voluntary requests for language training, over and above those that are required by the business, reflecting the desire as well as the need to continue learning. I asked Sandy whether language training had been a good use of funds for Lloyds Spain and she said that without a doubt, for them it had been. She was quick to recommend direct contact with Cactus for any language training requirements, citing our efficiency, our ability to find the right teachers and our flexibility in dealing with a company such as theirs undergoing continual change. She also praised the friendliness of all our representatives, highlighting the huge work effort, dedication and professionalism of Ernesto Forner (Head of Corporate Language Training) and his team. I was keen to know whether, with her experience of organising corporate language tuition across such a vast number of locations, Sandy had any advice to offer other companies considering offering the same. She said that Cactus had made it very easy to set up a language training programme across 11 locations, knowing how to adapt to the many different offices, locations and training requirements. For their part, Lloyds has always tried to provide clear and accurate information about each office and the particular staff involved, so collaboration on both sides has facilitated the smooth running of a large scale language training programme. As for what the future holds, Lloyds Spain now forms part of the Banco Sabadell group, and Sandy tells me that they hope to still receive a solid training programme. Although English language training will not be as crucial as it has been at Lloyds, the banking world will always require a certain level of English language knowledge and, certainly as far as Cactus are concerned, we would happily continue to provide this for more years to come. Many thanks to Sandy for taking the time to talk to us. TripAdvisor began their corporate language training with Cactus in 2012, establishing a programme that has expanded to now include eight languages taught across five offices worldwide. 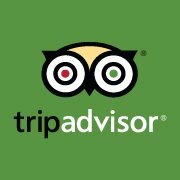 TripAdvisor fully sponsors the cost of providing language classes for its staff, believing that it is beneficial to them both inside and outside the workplace, as indeed it has proven to be. The uptake has certainly been impressive, with over 50% of its staff enrolling on the first term of classes in the London office alone. As is the case with every client booking closed group language training, each term usually consists of 10 weeks of tuition and businesses can choose general language training or industry-specific language tuition. Anna explains that the very nature of their global business means that staff are interested in travel and languages, many speaking one or more languages to a decent level – so for these people their in-company language classes are a useful refresher and of particular value when it comes to sales calls or travel to other countries. Others start at beginner level and each term progress up to the next level in their chosen language. Either way, employees have benefited from their language training on both a work and personal level; morale is good and feedback extremely positive. Staff feel engaged and motivated, and look forward to the next course once one is over. In every way the business is experiencing the benefits of its language learning programme which paves the way to international development and success. As for TripAdvisor, offering language training as a staff perk has been an excellent use of training budget and Anna tells me that she would recommend other companies consider doing the same. Setting up the course with Cactus was easy and straight-forward, TripAdvisor putting forward their language learning requirements and soon receiving confirmation that everything was in place. Anna cites Head of Corporate Language Training, Ernesto, and former Corporate Operations Manager, Estelliane, as being particularly helpful, their support most appreciated in the early stages of setting up the classes. Now everything is in place, each term flows easily into the next. As for where we go from here, TripAdvisor’s language training programme looks set to continue and perhaps even expand into new international territories. With such positive feedback and enthusiasm amongst staff here’s hoping it does, for this is certainly a case where company investment in language training has reaped reward for both employer and employee. Diversifying into new markets is a smart way for businesses to survive in hard times; having the appropriate language skills is key to tapping into these markets and forming long-term partnerships. A few years ago we spoke about the increasing importance of Arabic, Russian and Mandarin as languages that were opening the door to valuable, developing markets – markets that were less affected by the latest global recession and which had the ability to maximise the earning potential of traditional western economies. These languages have indeed proved to be key in establishing successful business relationships with Russia, China and the Arab world, investments that will reap long-term reward. It is now time to turn our head towards new markets that may for the same reason represent a smart business move in the current economic climate. 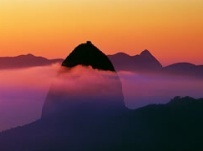 A prime contender here is Brazil, home to Brazilian Portuguese, and host country to major worldwide sporting events including next year’s FIFA World Cup and the 2016 Olympics. This vast South American country may have experienced a slight decrease in growth over the last year, but with the world’s eyes set on Brazil for a good few years to come and its status as one of the advancing BRICS economies, it is unlikely to lose its place in the spotlight. Brazilian Portuguese is certainly a popular language at Cactus, with students taking evening courses mostly for work reasons – a positive sign of commercial investment in the country and recognition of the need to communicate in the local language rather than relying on our own. With Brazilian Portuguese being spoken by nearly all of Brazil’s 200 million inhabitants, and the language rated as Category 1 difficulty for English speakers to learn (Category 1 being the easiest, Category 3 the most difficult*), that makes a lot of extra people you can do business with, relatively easily. Second on our list of markets to watch is Turkey. A rich historical land sitting on the European-Asian divide, it is Turkey’s imminent accession to the EU that promises a significant leap in business potential. As has been witnessed with other member states, the country can expect increased overseas investment and access to economic development aid, both of which should drive economic growth. It’s fair to say, however, that Turkey has been enjoying something of a transformation even before their EU membership comes into effect. Slowly appearing amongst Istanbul’s extravagant Ottoman mosques and exotic bazaars are ultra-modern shopping malls, fashionable bars and sleek art galleries, all frequented by a young and culturally diverse crowd who have money and time to spend it; in turn, this makes Istanbul an attractive city break for foreigners, bringing in additional foreign currency. Turkish is a language with over 63 million native speakers and is generally classified as a language of Category 2* difficulty for English speakers. For a country such as Turkey with strong cultural traditions and deeply rooted beliefs, the ability to communicate on a personal level through knowledge of Turkish gives anyone considering doing business here a distinct advantage. Finally, our look at emerging markets turns to Asia. While China’s growth shows signs of slowing, its trading partner South Korea last month (July 2013) boasted its fastest growth rate in over two years. This is partly thanks to the country being home to some of the world’s most successful hi-tech and manufacturing corporations – Samsung and Hyundai Motors among them – which contribute to South Korea’s buoyant export figures. As a language to invest in, Korean is rated at Category 3* difficulty for English speakers so more time and money is required to achieve a proficient working knowledge of the language. That said, the effort to speak the local language is rarely more appreciated than it is in Asia, especially in the business environment. Add to this the fact that linguistic training invariably includes an appreciation of the relevant social and cultural contexts and building bridges with a new market such as South Korea becomes far more feasible. The British Foreign Office has recently re-opened its language centre and is dedicating more funding to linguistic training, believing that senior diplomats working abroad command much greater respect and credibility when they can speak the language of the country where they work. The same goes for businesses wishing to expand into new markets; having a workforce who can communicate with the locals in an overseas posting puts them streets ahead, not only in terms of business success but also on a more personal level of settling into a new territory should they be relocating. * International bodies including the British Foreign Office and the US Foreign Service Institute grade languages according to their difficulty, assuming that students are native speakers of English: Category 1 (most similarity to English; mostly Western European languages); Category 2 (siginificant linguistic and/or cultural differences from English); Category 3 (exceptionally difficult, primarily due to the complex writing system). Cactus has been designing and implementing language training programmes to a wide range of industries – including global corporation, SMEs and individuals – since 2000. Here, we look at our experience working with legal organisations in Europe and worldwide. Over the years Cactus has organised language courses for individuals and groups all over the world, catering to all needs and interests. One of our great strengths is designing courses that cater to specific industries, delivering business-specific course content to firms in sectors as diverse as marketing, fashion, technology, mining and relocation. We understand that each of these industries requires language training in order to communicate more efficiently with colleagues and clients, but that the vocabulary, etiquette and business environment that go with this may be vastly different for each different sector. It is here that our clients reap the benefit of our extensive network of qualified, native speaker trainers, who between them cover a multitude of skills and experience. This gives us the ability to match a trainer to a specific training request, no matter how niche the industry. In other words, we can always find the right person for the job. One area in which we have had particular success with language training is Law. Our courses have covered sectors of the legal profession from corporate law through to intellectual property law, equipping employees with the precise skills they need to meet the demands of their legal roles head on – from articulating complex ideas to high level audiences to understanding the nuances of written and verbal communication within their industry. Whether training is to take place on an individual or group basis, the first step will always be for Cactus to take time to find out more about the exact role, current legal projects and language ambitions of the invididual(s) involved. A training programme is then devised with course participants contributing ideas as to what they would like to cover, such that they are involved in their own course design from the outset and remain motivated throughout. The resulting course may be 1:1, group, in-company, online, full immersion or blended learning. 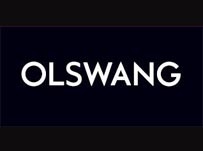 A long-standing client for us in the UK is international law firm Olswang, for whom we are currently providing tuition in French, Spanish and German, while in the US we have provided Mandarin language tuition for San Francisco-based Cooley LLP. Our team has also provided language training to the legal counsels of some of the UK’s top financial institutions including Lloyds TSB, Barclays and Standard Chartered. Having spoken more in depth with the Training Coordinator at Olswang, it is clear that delegates at their London office have enjoyed benefits from their language training both inside and outside the work place. Not only have classes been an ideal opportunity to network within the firm and meet people they wouldn’t have otherwise, they also provide valuable skills to enhance communication with overseas offices and international clients. Classes are set to continue into the future and expand to other areas as we continue to listen to and fulfill their language training needs. Anyone within the legal profession wishing to discuss how language training can work for them can contact Cactus at either our UK or US offices. Please email contact@cactuslanguagetraining.com or call us on 0845 130 4775 (UK) or +1-888-577-8451 (US toll free). 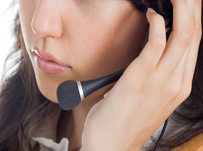 You can also Request a Quote or complete a Needs Analysis & we will get back to you within 24 hours. For those wishing to learn a language the most flexible and economic way possible, language training via Skype is the ideal option. At Cactus Language Training, Skype is fast becoming a popular and effective means of delivering language tuition to corporate and private clients who require results fast. Doing away with the need for a classroom, Skype, or video conference, requires no more than a computer, web cam and good internet connection – and for this reason it allows lessons in almost any language to be delivered to any location worldwide, any day of the week and any time of day, with no price variation. Prospective students may be forgiven for thinking that they are missing out by choosing a computer-based course over a traditional classroom setting, but to the contrary. The feeling of learning via Skype is almost identical to being in the same room as the trainer. Your trainer is right in front of you, virtually, and the picture and sound quality is usually excellent; the optional use of headphones and a microphone makes listening and speaking even clearer. As for course content, remote learning brings with it distinct advantages. For a start, your trainer can be based anywhere at all, meaning that Cactus can choose from its vast network of trainers to find the very best person for the job, given your specific interests and requirements. This facilitates the provision of very specialised business or academic-specific language by native language experts located anywhere in the world. Furthermore, since there is no need for the trainer to travel to the student’s home or office, there are no additional costs such as trainer travel expenses, and the minimum lesson duration is 60 minutes as opposed to the customary 90 minutes for face-to-face training. Once you’re up and running, both you and your teacher will work from the same course book and learning materials, which ensures access to the same texts, documents, exercises, grammar and vocabulary. In addition, Skype’s chat box or messaging facility allows your teacher to write corrections or suggestions during the lesson, without interrupting you as you speak. Your conversation in the chat box is then available at the end of the lesson for you to copy and paste into your own personal documents for subsequent self study – and, crucially, all these notes are specifically geared to you and no-one else. If you would like to trial this smart new approach to language training and find out whether it’s for you, simply contact Cactus and request a ‘taster lesson’ at the standard hourly rate with no further commitment. A recent report predicts a 50% increase in the number of staff relocating abroad for work – what are the implications of this? 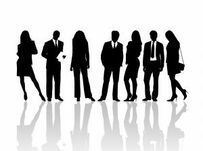 A recent report issued by the global giant Pricewaterhouse Coopers (PwC) predicts that the number of people working abroad will increase by 50% over the next decade. The report, ‘Talent mobility 2020: The next generation of international assignments’, a compilation of data sourced from 900 companies, shows that international assignments by staff have already increased by 25% over the last decade, a trend that is set to double over the next ten years. What are the factors behind this and what are the implications for the future? Statistics like this are not to be ignored as they have a significant impact on work practice across the globe. Brought about in part by the rise of emerging markets, the ease of foreign travel, changing demographic needs and companies searching for new revenue streams, the globalisation that we are witnessing will see many more thousands of employees leaving their home country for foreign soil – and even the number of locations to which they are re-locating is increasing, as companies explore lesser developed locations. The implications of such large global movement cannot fail to have implications. Businesses, for a start, are likely to need to evolve their international work models so that they can efficiently manage the relocation of high numbers of staff between countries. Tax systems and immigration laws can present immediate obstacles, and further down the line investment into local infrastructure can become be a factor, especially in lesser developed countries – both to help employees live and work comfortably and also to maintain a synergic relationship with the host country. 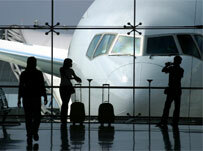 One bonus that businesses may however see is a lesser need to offer financial incentive to staff to work overseas. Not only is it seen as good business sense to have staff employed in the places where they are needed, it also appears that these staff – especially younger workers – are eager to work a stint abroad. The report quotes that, of 4,200 graduates, 94% expect to work more internationally than their parents and 80% actually want to work abroad as part of their own personal development. Of particular interest to Cactus is the news that 70% of these graduates expect to use a non-native language at work. If relocation abroad is to be fluid and of benefit to all parties concerned, investment in language training cannot be overlooked. Indeed, a recent article in Re:locate magazine (www.relocatemagazine.com) cites language and cultural training – along with home search and spousal support – as ‘examples of policy elements that provide untold value and [which] can make or break an assignment’. Rather than be considered as luxury extras, support services such as this should be given priority when it comes to aiding a staff member to settle in a foreign country. Committing the cost early on could prevent further cost from a failed relocation down the line.